Aston Martin DBS Superleggera is the ultimate epitome of a cool car. The make and everything about this car spell class and sophistication. For over a half a century now, DBS has manufactured some of the most coveted cars. Aston Martin sophisticated and luxurious automobiles have seen the cars rank among the most admired cars in the car magazines. Having a history of manufacturing lavish automobiles, Aston Martin never disappoints. Things keep getting better with every car released in the market. Every motor released by Aston Martin usually has a better feature than the previous brands. 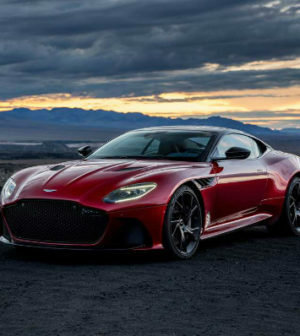 Aston Martin DBS Superleggera is the coolest machine recently released to the market. Let’s digger deeper and establish why this machine would soon be your new dream car. The finishing of this car is beautiful. It’s something that you would love to look at for a long time. It’s a car that was made to perform strikingly on the road, and also to please the eyes. The shape of the car is a typical Aston Martin. The only notable difference is that this one has been made to be broader, stronger and more muscular. The finishing of the car is glossy and impressive to look at. The exemplary made hexagonal grill is just breath-taking. This car has been dedicated to ensuring you are comfortable whenever you hit the road. The interiors of this car are not only comfortable but also breathtaking. The thickly cushioned leather seats are super comfortable and luxurious. Both the driver’s and passenger seats are made to make you feel like you are having the best ride of your life. The seats correctly support your body. The strong materials used in crafting this car will enable you to hit the road aggressively. A reliable car does not have to be a heavy one. A heavy car may be a little sluggish on the road. This car has been made with strong, yet lightweight materials. This combination enables you to hit the road aggressively, and at high speed. The powerful V12 makes this car an aggressive one. The chassis has been made to stay firm. Other features that make this machine to be more powerful are the front with double wishbone, rear axle with a geometrically optimal multilink, and a rigid stance. The manufacturer’s recommended retail price for DBS Superleggera is $304,995. This price is exclusive of taxes, title, options and delivery fee. The prices are also subject to change, without notice from the manufacturer. The beauty, speed, and performance of this beauty are impressive. Many cars that are made to look beautiful are poor performers on the road. DBS Superleggera is different. It is a symbol of an all-around car. Its performance and beauty will leave you in awe. It could be your dream car. If you are looking for a sophisticated beast to hit the road with, DBS Superleggera would be the ultimate deal.